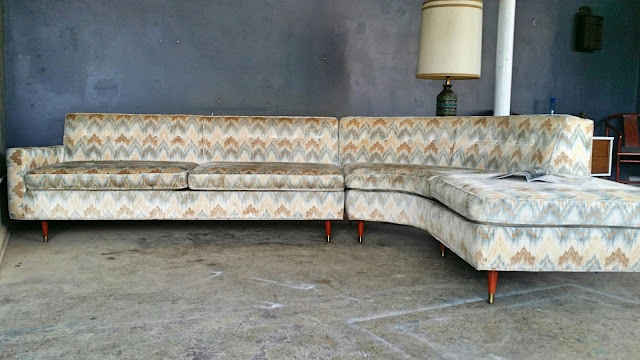 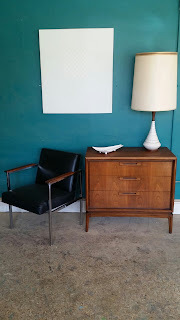 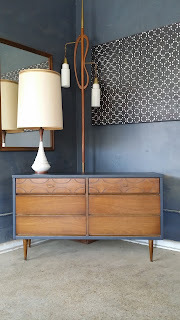 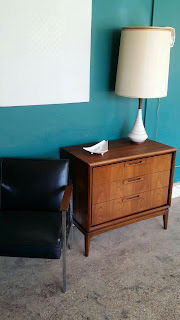 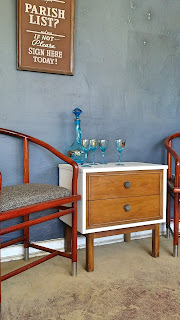 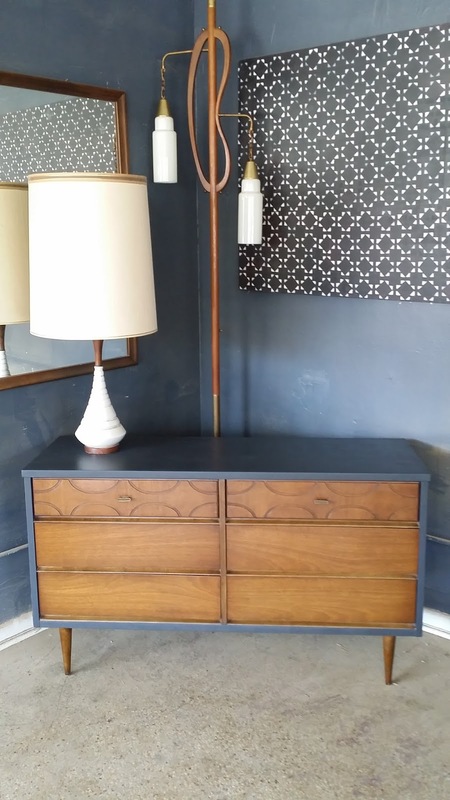 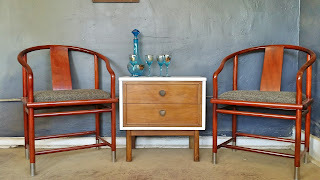 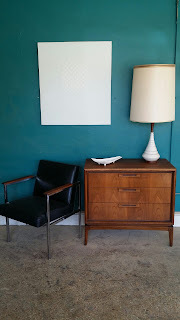 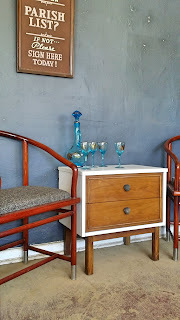 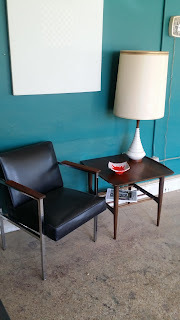 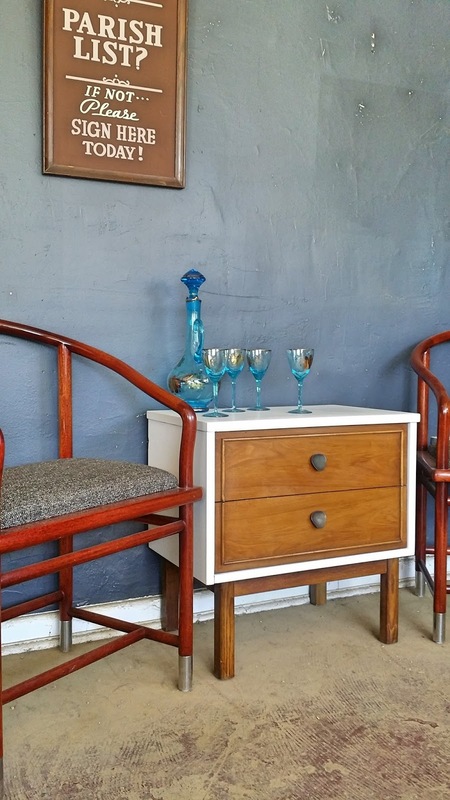 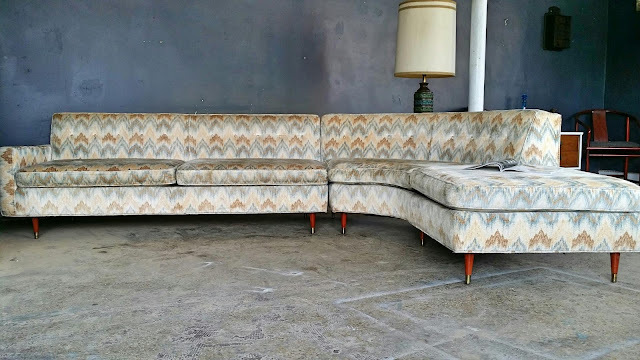 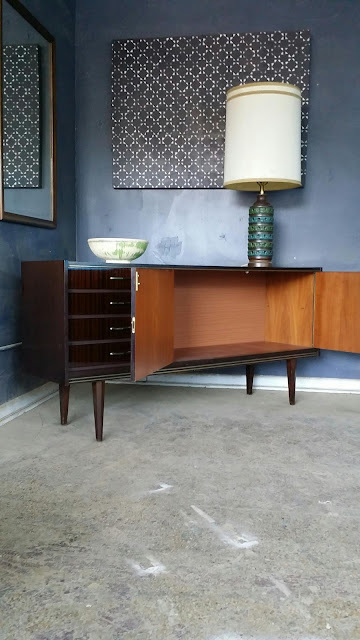 This is an awesome Mid Century piece. 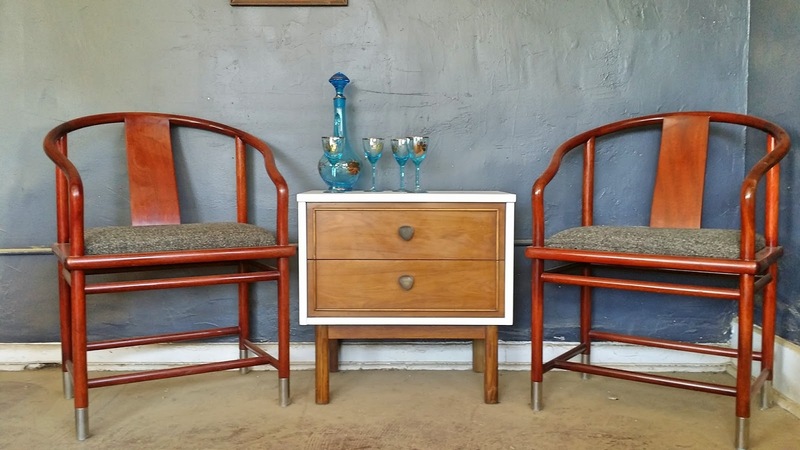 There are three doors that open up to storage. 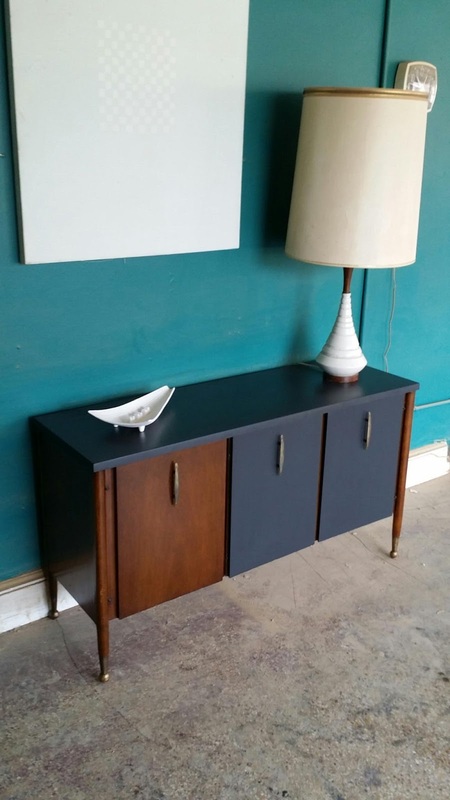 The top and two of the doors are a deep slate gray color. 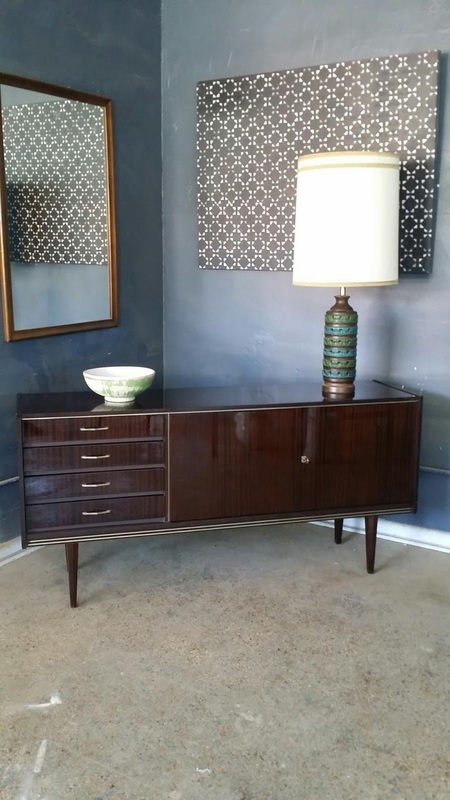 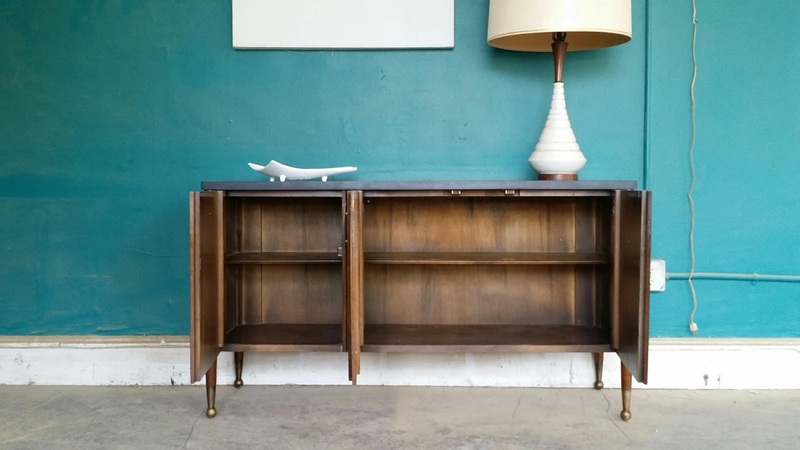 Perfect to use as a bar media console credenza buffet etc. 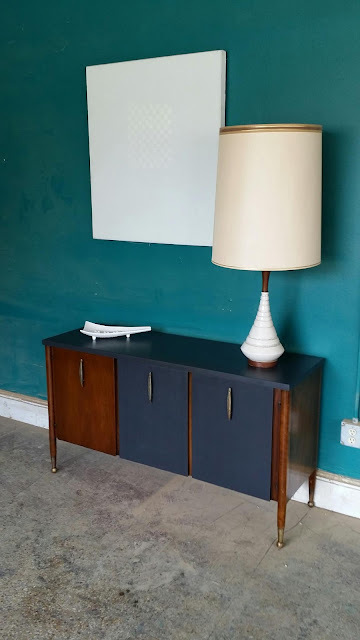 The dimensions are 50w 16d 28h. 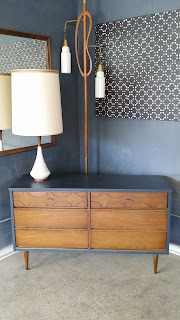 This is a beautiful Mid Century tension pole lamp. 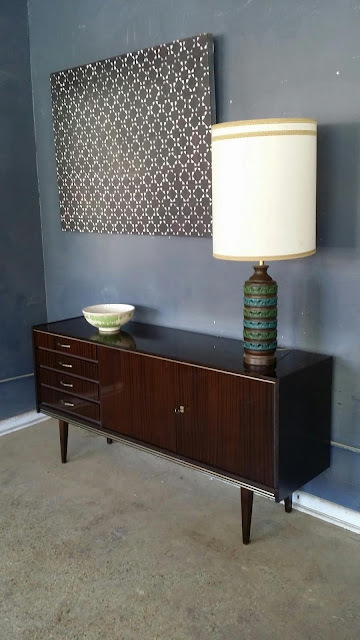 The design is fantastic and there are two lights. 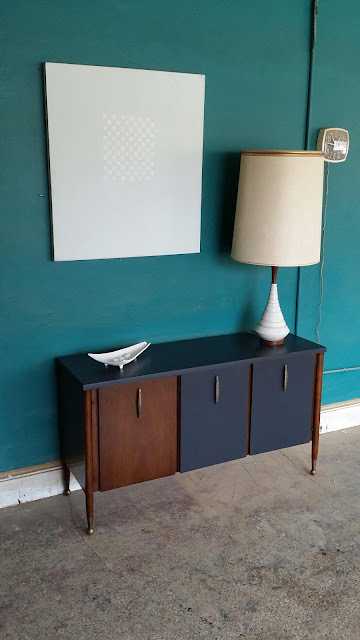 Perfect for any room and definitely a conversation piece. 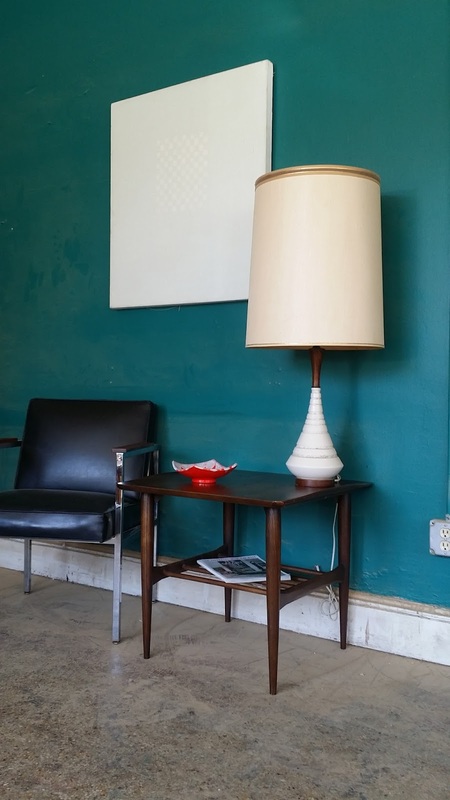 The maximum height is 8.5ft. 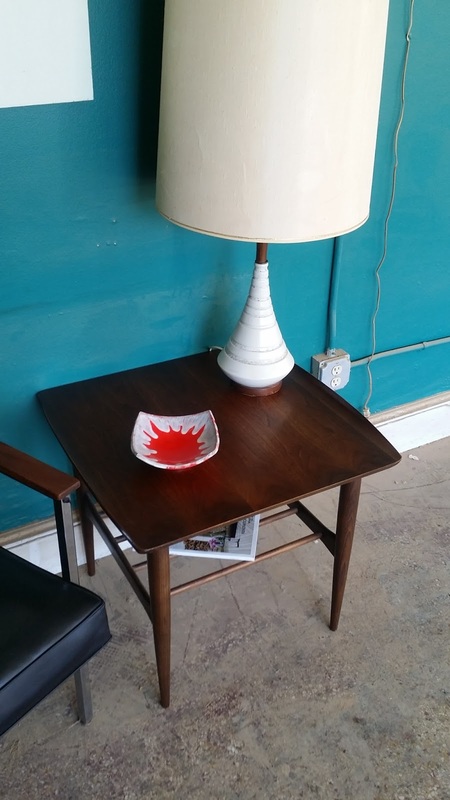 This is the perfect size side table / nightstand. 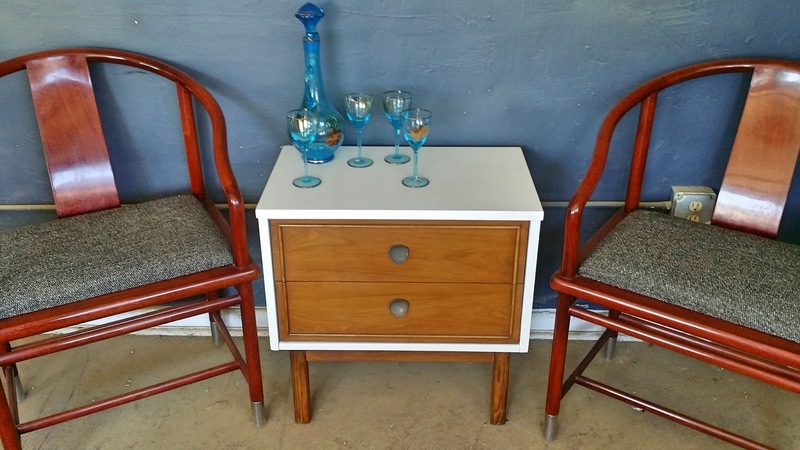 The casing is a crisp white and there are two drawers with awesome original hardware. The dimensions are 24w 15d 24h. 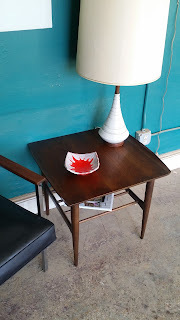 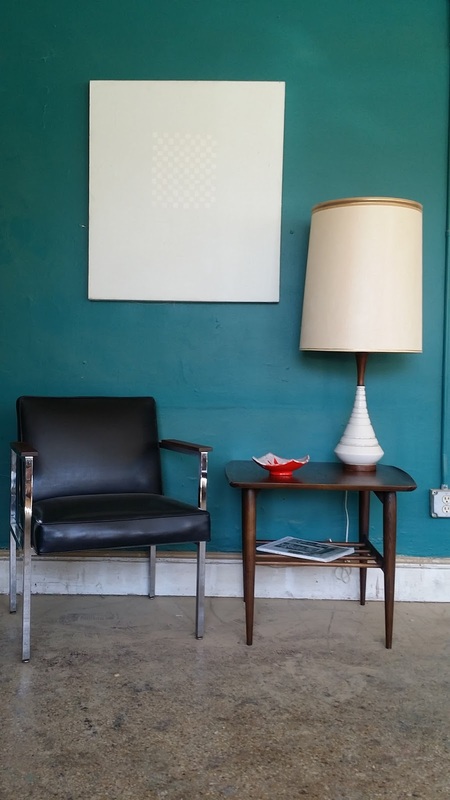 This is a wonderful Mid Century side table. In stunning condition and a beautiful design in a rich walnut finish. 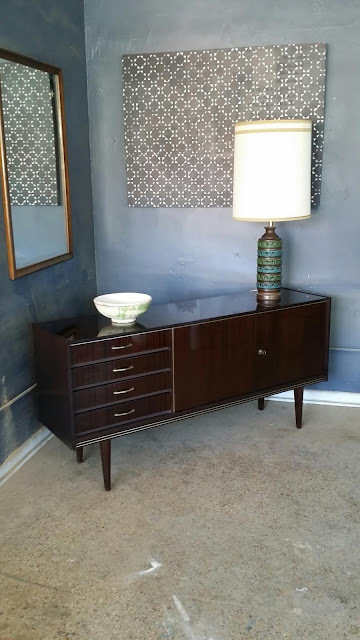 The dimensions are 24w 25d 21.5h. 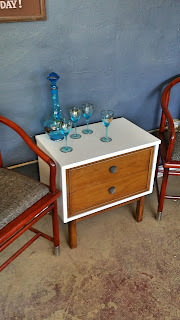 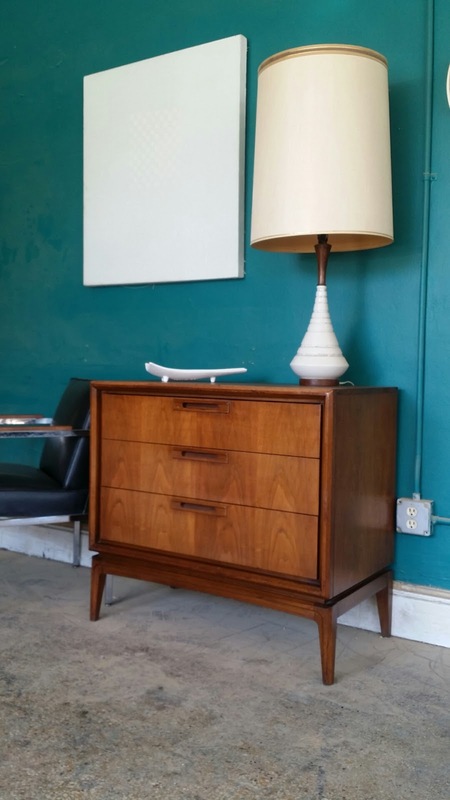 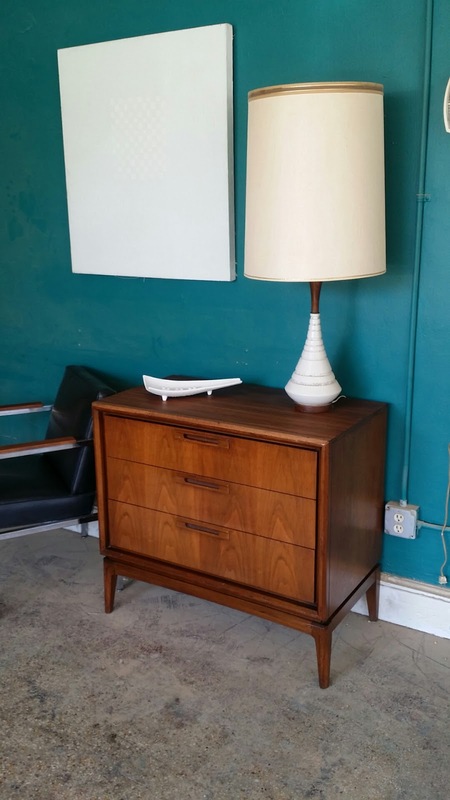 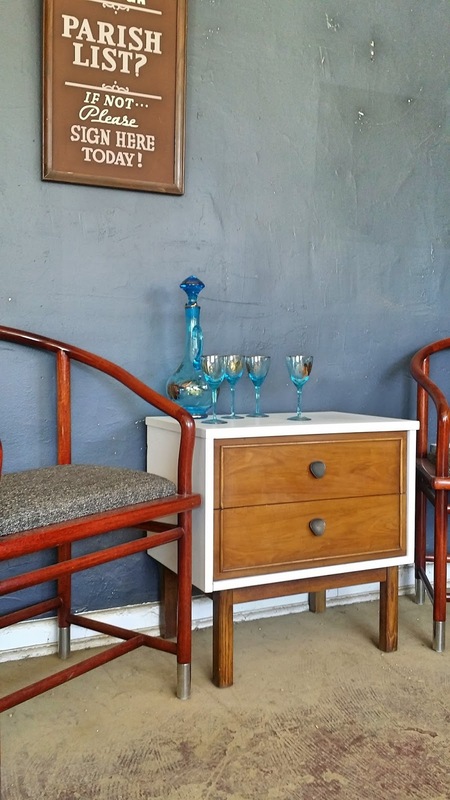 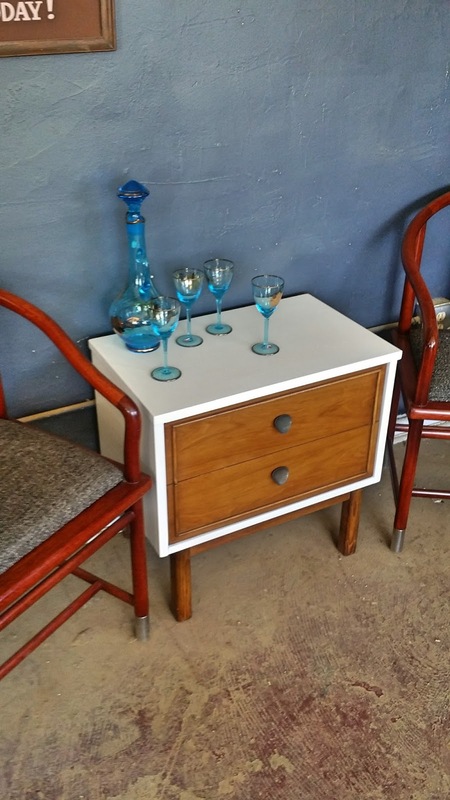 This is such a great large Mid Century three drawer piece. Perfect to use as a small dresser entry piece or a large nightstand. Wonderful storage space! The dimensions are 34w 19d 31.5h. This is an amazing Mid Century credenza. 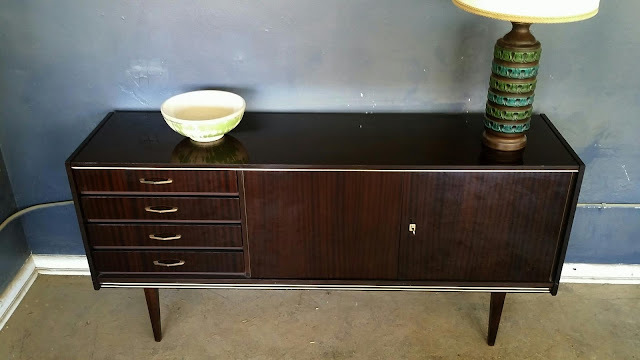 It is stamped on the back made is west germany. The richness of the wood is stunning. There are two large doors that open up to storage and lock with the key. 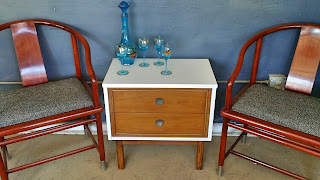 There are also cour drawers. 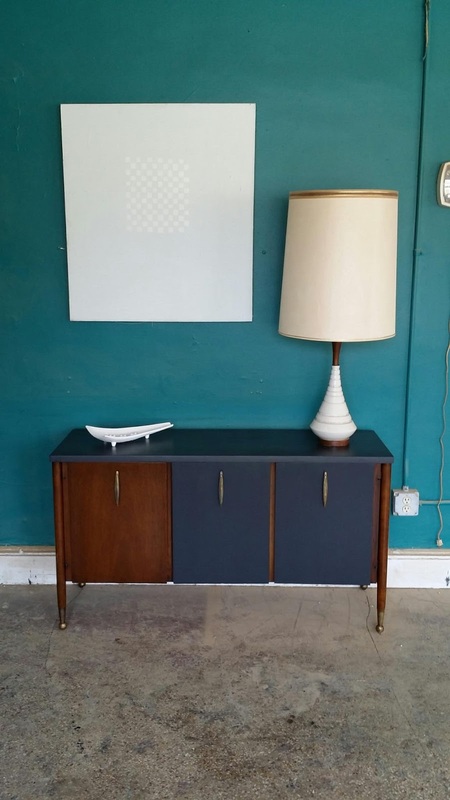 Perfect to use as a buffet media console credenza sideboard etc. The dimensions are 64.5w 16.5d 31h.